Whether you need waterproofing or just protection from drops, these cases will get the job done. The iPhone 8 Plus is back in the spotlight again thanks to the new Product(Red) model (and arguably, it’s brought it more attention than ever before). Some of you, no doubt, will want to show off your new crimson handset in all its slippery, fragile glory, and more power to you. The world needs risktakers. 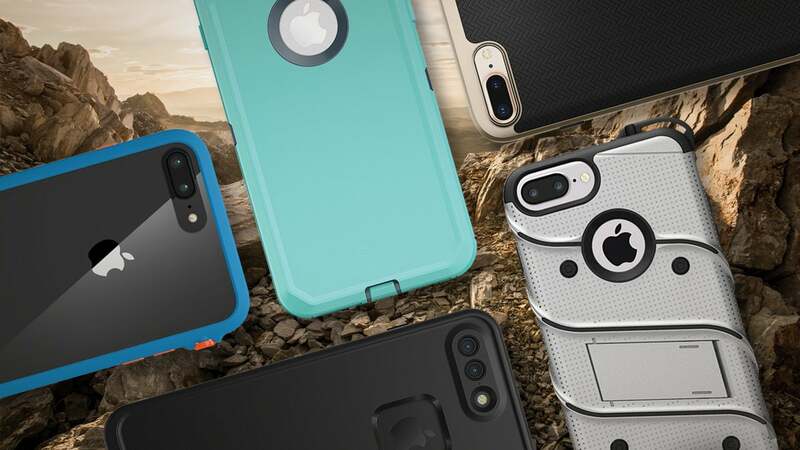 But for the rest of us who can’t bear the thought of our $900 smartphones shattering like smashed rubies, these rugged cases literally have your new iPhone covered. 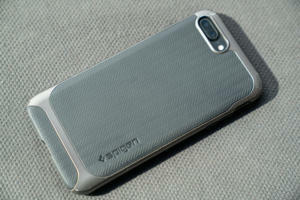 The Spigen Neo Hybrid Herringbone case is slim and sleek, which are probably the last two words you’d expect to see in a roundup of “rugged” cases. 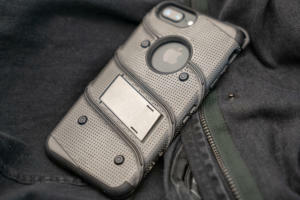 It earns that description, though, even while allowing you to comfortably slip your phone in your pocket. 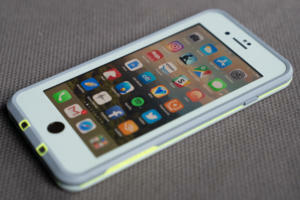 The case proved itself when an iPhone 8 Plus was subjected to a car door slamming while in jacket pocket. Thanks to the Spigen case, the iPhone survived with only a minor bruise in the corner of the display. Some Amazon reviews claim the two layers of the “dual layer protection” start splitting from each other after only a couple of days. But after several drops and removing the case about 30 times (not to mention the door slamming), the Spigen case looks fine. It’s safe to say it’s a favorite. The Spigen Neo Hybrid Herringbone Case is also available for the iPhone 8. The Catalyst Impact Protection case is slim like the Spigen Neo-Hybrid, and Catalyst claims it can survive drops of up to 9.9 feet. 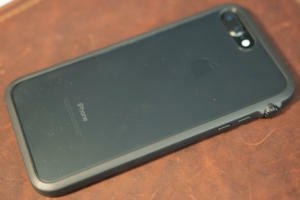 The big difference, though, is that the Catalyst case shows far more fondness for the iPhone’s design, as the back is covered with a clear, thick (and smudge-prone) plastic barrier rather than rubber. In other words, this makes it an ideal case if you’d like to show off your fancy new red (or other color) iPhone but keep it safe as well. If you think this Impact case isn’t not quite rugged enough for you, Catalyst also makes a waterproof version that looks much the same while reportedly enabling your phone to survive underwater dunks of up to 33 feet. As you might imagine, the waterproofing elements add a bit of bulk over its terra-firma counterpart, but you’ll be glad for that extra heft when your phone suddenly takes a dive. The Catalyst Impact Protection Case is also available for the iPhone 8. Jony Ive probably faints at the sight of the Zizo Bolt. Sure, it’s got “military-grade” protection,” but that beefy armor saddles it with a garishness akin to someone slapping monster truck tires on a Lexus. Much like a monster truck, though, the Bolt will get you through some messy spots. You generally won’t have to worry if you drop it or accidentally toss a toolbox on it, and the included holster adds a bit of extra protection for the screen. The Bolt even has a little kickstand for propping up your phone while you’re watching the football game while on a fishing trip (or whatever other “rugged” activity you prefer). Sadly, the stand is the Bolt’s Achilles’ heel. Drop an encased iPhone at the proper angle when the stand is extended and the stand could break off like a weathervane in a hurricane. Overall, this case will soldier on through some of the worse environments you throw at it. The Zizo Bolt is also available for the iPhone 8. If the Zizo Bolt is a Humvee, the Otterbox Defender is a tank. This is the case for iPhone users who aren’t messing around. The Defender doesn’t give a fart about Apple’s aesthetics or whether you can slip your phone in your pocket or prop it on your dash. This is a case that’s all about taking the punches. It’s tenacious, and even removing your iPhone from the Defender in feels a little like prying open an oyster. Its thick shell adds both heft and peace of mind, and the plastic sheet that slips in front of the display keeps it safe from everything but the most forceful front-on attacks. If you want to protect the screen as well, be sure to pick up the tough belt clip that slips over it. All that padding means that the wireless charging doesn’t seem quite as fast, as you might expect, but if you’re set on using a case like this, there’s a good chance that you’re already okay with a few sacrifices. 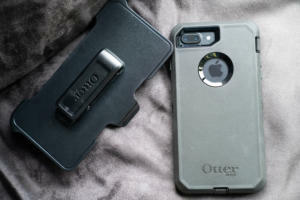 The Otterbox Defender is also available for the iPhone 8. Adventurers will love the Lifeproof Fre. Not only does it protect your phone from the usual tumbles, but it’s also one of the few cases that’s truly waterproof. Lifeproof claims its case keeps phones safe even when they’ve been dropped in over six feet of water or snow for an hour, and buyers frequently back these claims with tales of dropping their phones into everything from rivers to hot tubs with no issues. But as someone who once lost a phone to a rogue wave on an Icelandic beach, I find myself thinking more and more that I should keep my phone in one of these, even though I’m not really a fan of the plasticky look. The Fre’s one true downside is that the scratch protector itself seems quite fond of scratches. On a more subjective note, you may not like that it only comes in bright colors (which presumably make it easier to see when dropped in water). Even so, if you have nightmares of your phone dying a watery death, the Fre is certainly a case to consider. The Lifeproof Fre is also available for the iPhone 8.